Milk thistle (Silybum marianum), also referred to as blessed milk thistle, is not really a thistle even though it resembles a thistle in appearance. It has a spiny purple rosette--or flower head--that is two to three inches wide and green foliage covered with white veins. Milk thistle is a weed that is often hard to control. Fortunately, you can get rid of it by applying one of several herbicides; however, you must first decide which type of herbicide to apply, which is determined by what stage the milk thistle is currently in. If one treatment does not fully get rid of your milk thistle, apply another in the next stage. Apply a herbicide that contains the active ingredient clopyralid, such as Lontrel, to the actively growing milk thistles (before they bud and flower). This usually occurs in the spring and sometimes into early summer depending on your climate. Read the label for correct application rates for your size area and for proper application, usually from overhead in even sweeping motions. Apply an herbicide that contains glyphosate, such as Roundup, to the rosettes (flowers), which are typically present from late spring or early summer until fall. Again, read the label for application rates and directions. Note that once a frost has killed the rosettes, it is too late to apply this type (or any) herbicide and you must wait until spring for treatment. Apply an herbicide that contains 2,4-D. This can be done in the spring before the milk thistles begin to grow. 2,4-D also works to get rid of milk thistles in the fall when rosettes are present. As always, read the label and adhere to the application rates and directions. Wear protective clothing, gloves and goggles when working with herbicides. 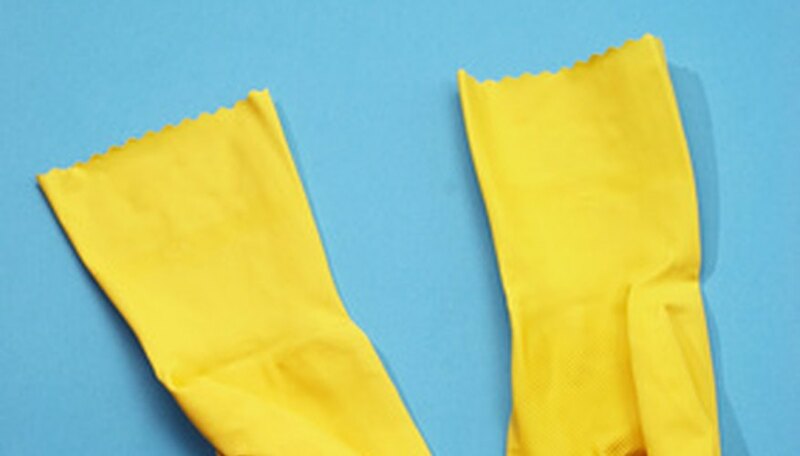 Wash your clothes in hot water and your regular laundry detergent when finished. Apply a herbicide on a calm day and when rain is not forecasted. Melissa Lewis is a former elementary classroom teacher and media specialist. She has also written for various online publications. Lewis holds a Bachelor of Arts in psychology from the University of Maryland Baltimore County. What Weed Killer Kills Buckthorn? Is a Corn Kernel Seed a Dicot or Monocot? How Do I Kill Thistle?